FOR decades now, conservatives have pressed the case that public sector unions do not serve the common good. Imagine a person is “Against Killing people” and because that killer happens to be a police officer the unions support them. This is exactly the message Police Unions are sending out to Americans. Imagine that Police Unions boycott a person for speaking out about Murder? 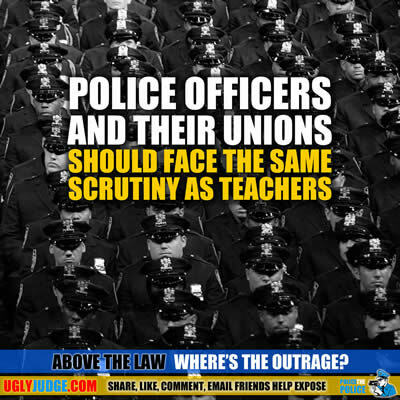 Now that’s what Police Unions are all about, police officers who run these unions who can’t accept wrong and help killers and criminals get away. Just because they have a badge….